Flying with a baby can be a challenging experience. Not only are you worried about keeping your new tiny human safe, but there are the diaper bags to lug around, piercing cries to quell, and the scornful side eye from grumpy passengers. You are unfortunately THAT person. 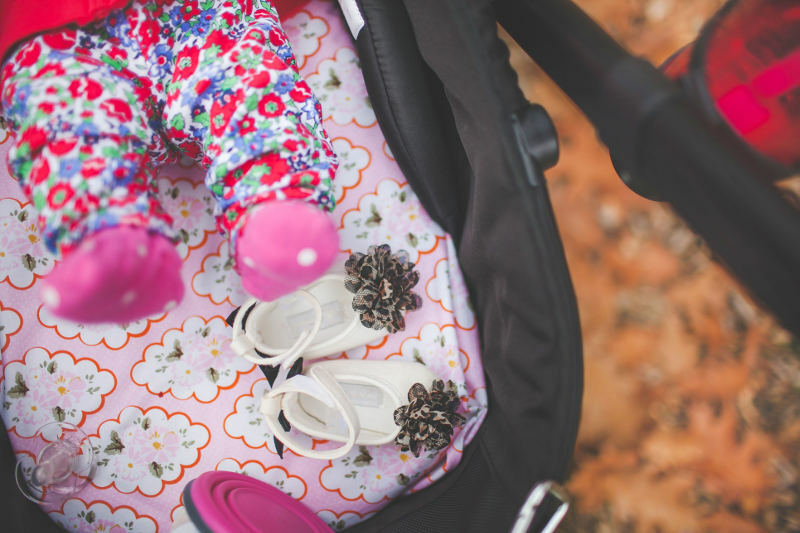 Fortunately, it doesn’t have to be a stressful experience, for you or your baby, if you know what to expect and do a little bit of planning and research before you travel. 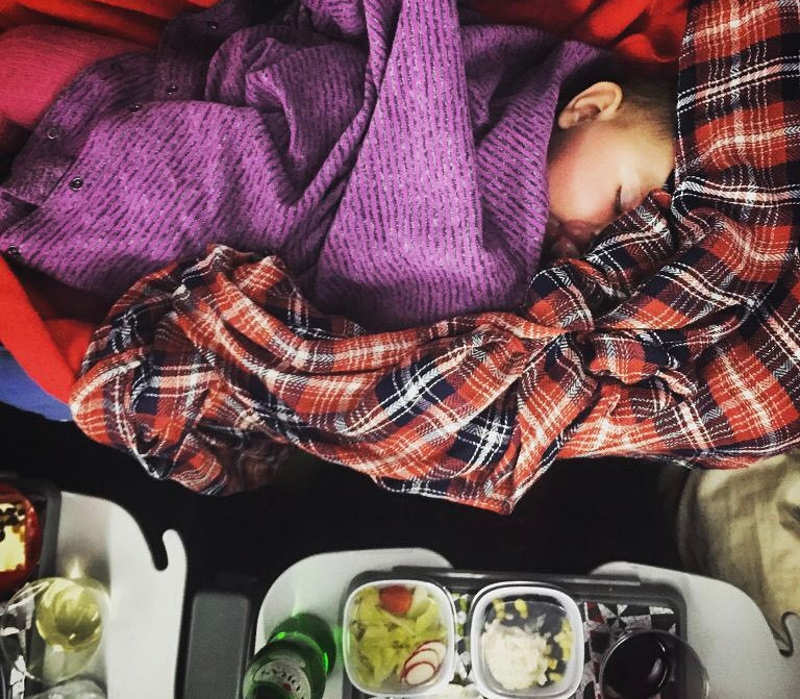 Here are some FAQs (and answers) about flying with a baby. Is it safe to fly with a baby? Flying with a baby is safe when he or she is old enough and healthy enough to travel. Young babies have developing immune systems and airplanes can be breeding grounds for germs. The recirculated air in a plane can be particularly harmful if another passenger is sick and sharing the same air with your baby. How soon can you fly with a baby? There is no standard regulation, but most airlines will insist that your baby is at least 2 weeks old. 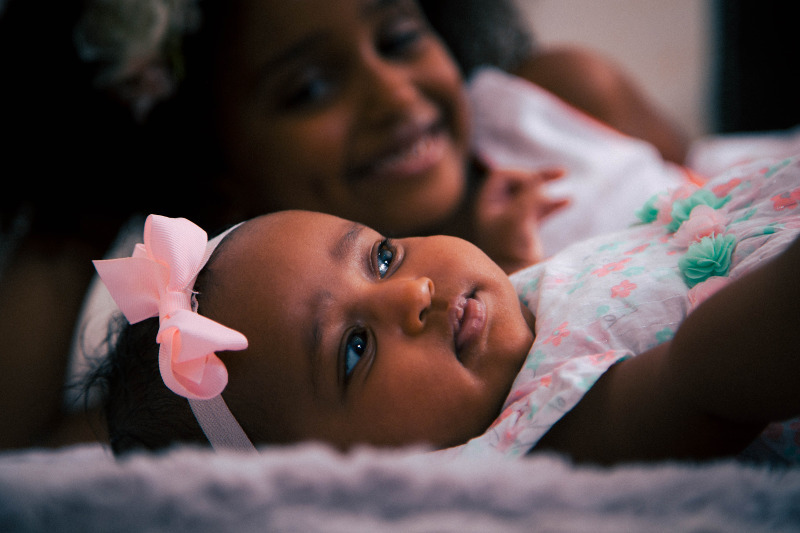 If you are travelling with a newborn baby you may need to provide a fit to fly letter from your paediatrician. It would be best to wait until your baby is at least 2 months old, but ideally between 4-6 months old, before taking a trip. Different airlines have different policies on this so you should check before booking flights. Do you need a birth certificate to travel with an infant? If you are flying with a baby outside of South Africa you will need an unabridged birth certificate. Domestic flights are supposed to be exempt, but some airlines have been known to ask for an unabridged birth certificate. Call the airline you will be flying with and find out which documents you will need. Yes. Everyone needs a passport to travel regardless of age. 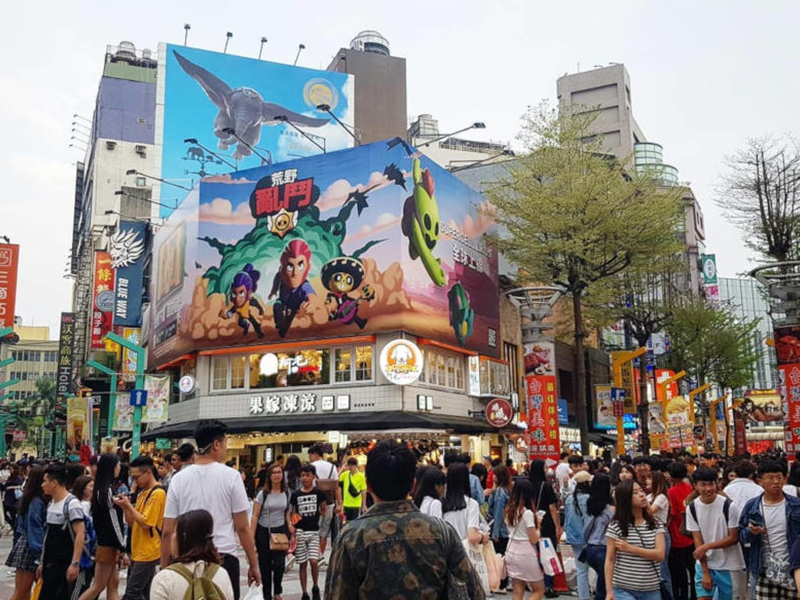 All minors will need a passport and an unabridged birth certificate to travel. The passport for travellers under 16 years old is valid for 5 years. 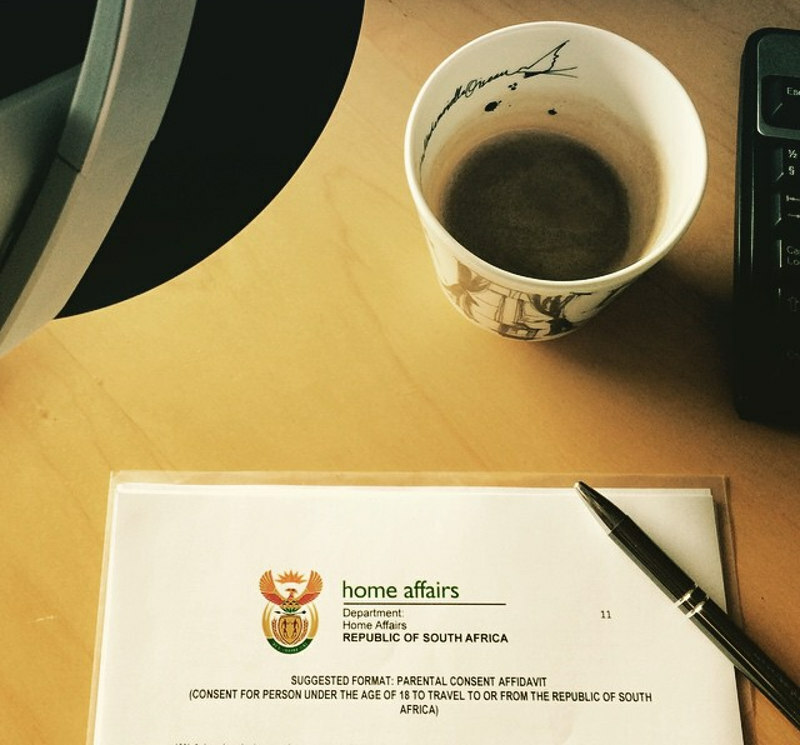 You can find out more about travel documents on the Department of Home Affairs website. If you are travelling alone with your baby you will need a Parental Consent Affidavit (PCA). It is a written statement from the other parent that grants you permission to travel out of the country. It must not be older than 6 months when you begin your trip. Find out more about the new immigration regulations. What can you take on a plane for a baby? You are usually allowed extra luggage and carry-on if you are flying with a baby. You are also allowed to take baby gear and products such as lotion and food. Can you bring baby formula on an airplane? Baby products such as breastmilk, formula, and baby food are allowed on airplanes and are exempt from the liquids rule. It will still need to go through security, so bag it in a Ziploc, pack it at the top of your luggage, and declare it when you pass through the security screening. Note: Buy bottled water after going through to security instead of using the water on the plane. Do diaper bags count as a carry-on? Assuming they are not enormous and can fit under the seat in front of you, diaper bags do not count towards your carry-on allowance. Can you take a stroller and car seat on a plane? Passengers with babies are allowed to bring along a collapsible stroller and a car seat on most airlines, free of charge, along with their normal luggage. They will have to go through the security screening process and will need to be checked in at the ticket counter or the gate. Some airlines have restrictions when it comes to the weight of strollers, so find out what these are from the airline you will be flying with. Car seats are only allowed in the cabin if they are airline approved and you have booked an extra seat. 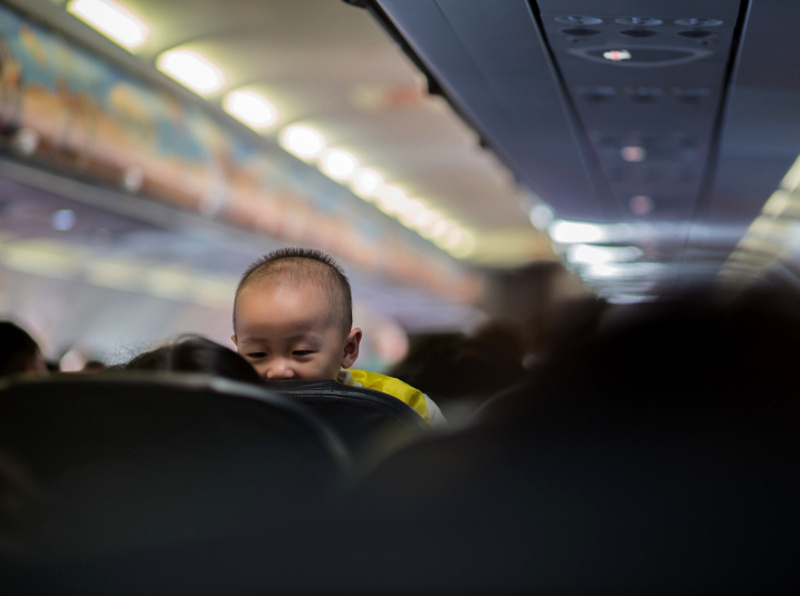 Do you have to buy a seat for a baby on a plane? Babies up to 2 years old do not need tickets to fly if he or she will be sitting on your lap throughout the flight. The airfare for a baby is usually about 10% of the adult fare. 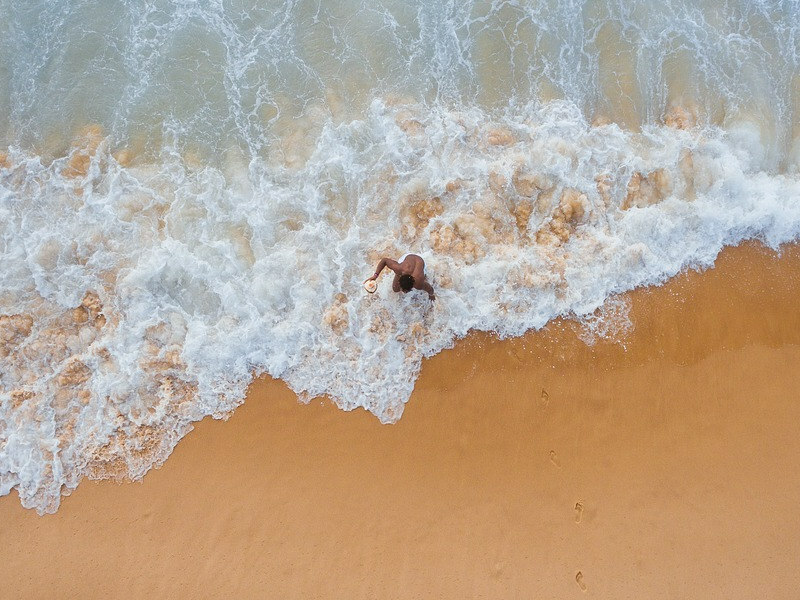 Many airlines prefer babies to be secured for safety reasons, and booking an extra seat can be worth every penny on an overnight flight to the Caribbean. If you’re planning to hold your baby through the flight, let them know at check-in that you’ve got an ‘infant in arms’. The middle seats usually get chosen last, so book a window and aisle seat if you are travelling with your partner. If the flight isn’t full you may just find yourself with an empty seat for your baby, and if it does fill up just ask the person in the middle if they would like to switch to the window seat. People will rarely turn down the offer. 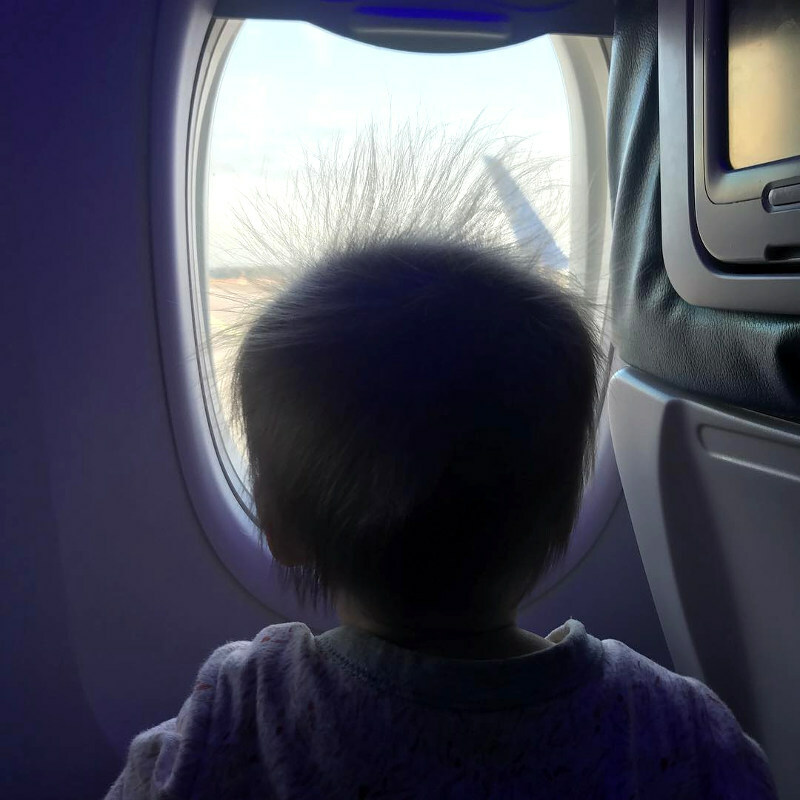 What helps babies’ ears when flying? Feed your baby during take-off and landing or bring out the dummy. The sucking will relieve the inner ear pressure and prevent any ear pain. If that doesn’t help, try gently rubbing their ears. Can you nurse on a plane? Some airlines have policies that support nursing on flights. Some do not have any written policy but have said they respect the rights of nursing mothers. And some recommend that mothers cover up on flights to avoid the wrath of disgruntled passengers. This varies from airline to airline so it would be best to call ahead and find out what their policies are. Secret travel tip: Choose the window seat if you plan to breastfeed on board – they offer the most privacy. Book a direct flight if possible. Transiting through several airports and long layovers can be hellish with a crabby baby in tow. Fly during naptime. The longer your baby is asleep in the air the more time you have to relax and get ready for the holiday ahead. 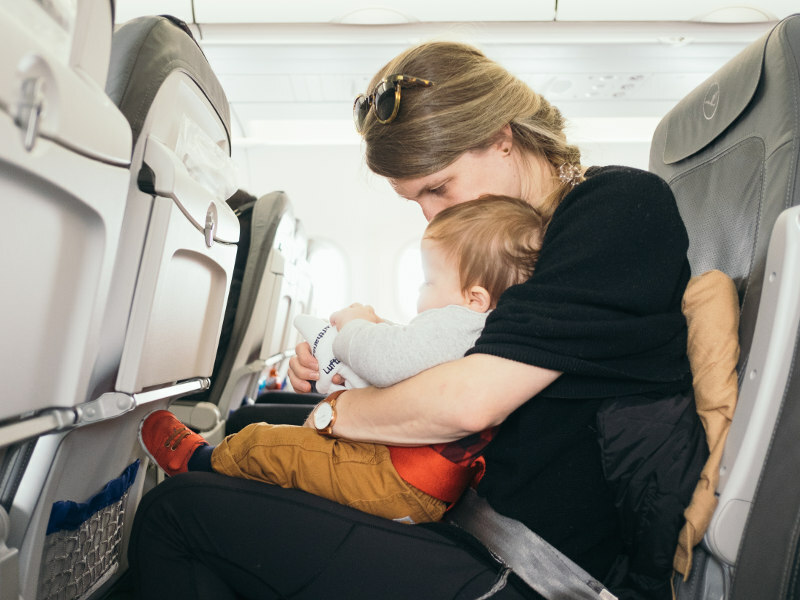 There is less chance of delays and airport chaos if you fly first thing in the morning, and midday flights are usually the emptiest and a great choice if you are hoping to score an empty seat for your baby. Choose a bulkhead seat if possible and find out if the airline has bassinets. These are great for international flights. Make use of priority boarding if your baby isn’t the cranky, squirming type. Boarding first also ensures you get enough space in the overhead bins. If you’re travelling with a partner, let him or her board first with the carry-ons and board the plane last with your baby. 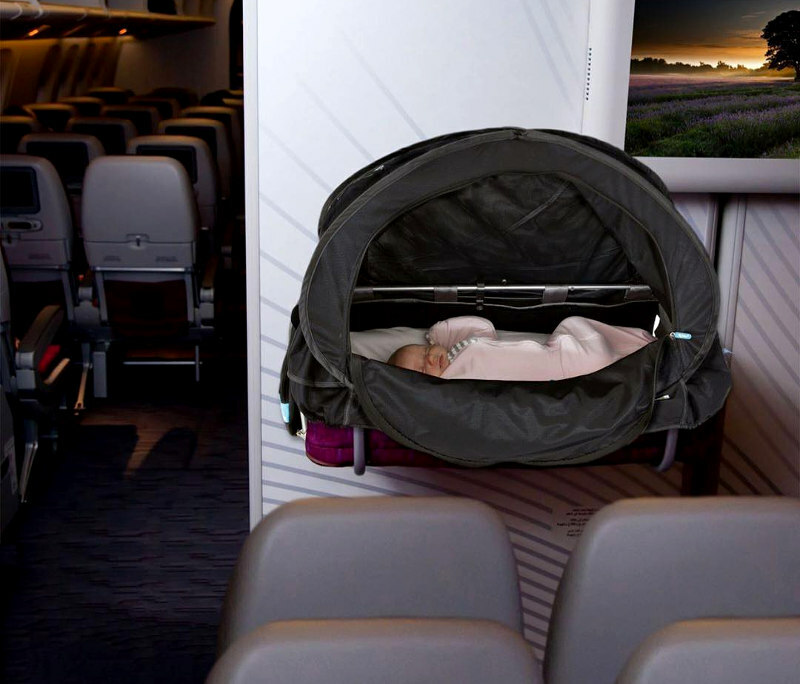 This could prevent your baby from getting cranky or overexcited while you wait for everyone else to board. Consider investing in a baby carrier. Having both hands free can make navigating the airport, security, and boarding much easier. A dummy or favourite toy can sometimes be a great way to get a baby to stop crying on a flight. Check-in online to avoid the extra queues. Do a diaper change as close to boarding as possible to avoid awkward poo expeditions in a tiny cubicle 30,000 feet in the air. Pack a change of clothes for you and your baby just in case you end up covered in baby puke. A plastic bag will also come in handy to stow away the soiled clothing. 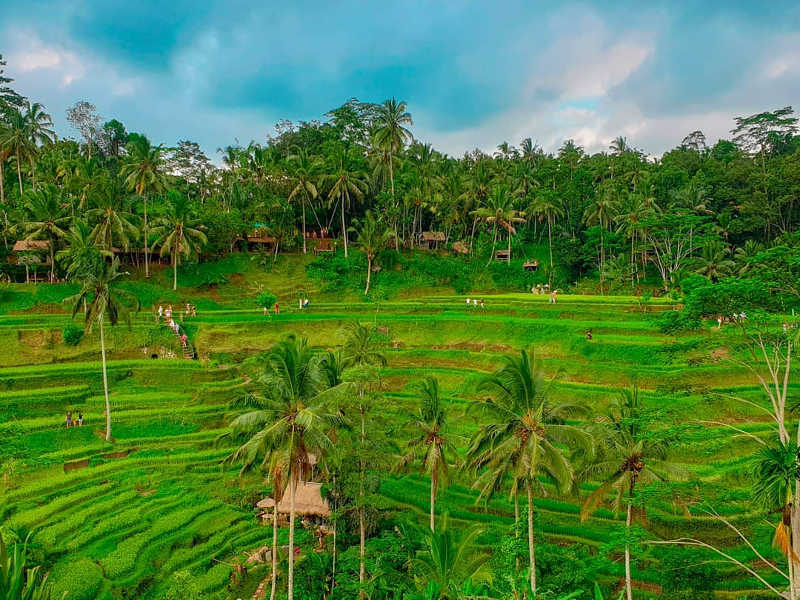 So, get the correct travel documents, find out about airline policies and airport regulations, and be wise about what you bring along with you. 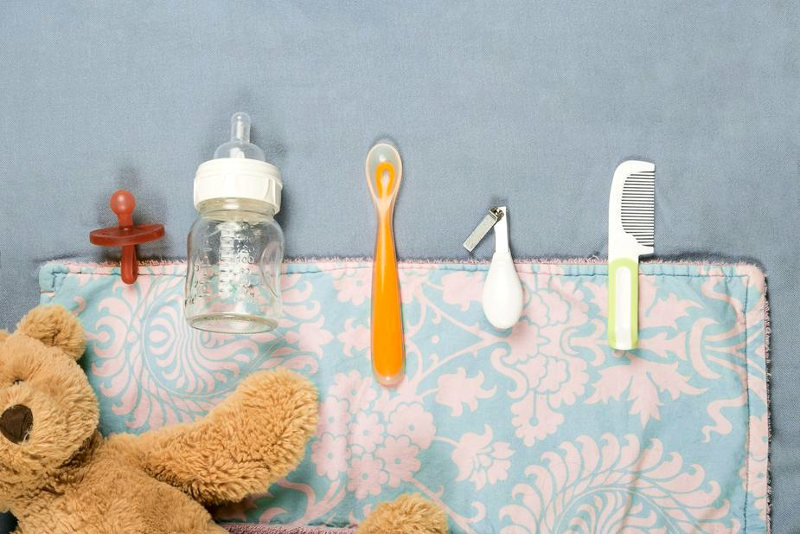 Those are the most important things you need to remember when flying with your baby. The rest is a beautiful adventure for you to enjoy with your little tot! Have you travelled with your baby? Share your experiences in the comments section below!